Lenovo, Motorola's parent company, is claiming three days of power on this phone. For context, this number is a combination of usage and standby, with most of this coming from standby time. But still, this phone should provide at least half that battery life for an average user. This means being able to go to sleep with a phone you used all day, then waking with enough battery for most of the next day. And you get all this power without compromise on performance or price. The Moto G7 Power provides multiple-day battery life with little compromise. You still get midrange performance, a large display, a headphone jack, and a fingerprint reader for a price under $300. The Moto G7 Power was announced on February 7, 2019 alongside the Moto G7 and Moto G7 Play. The G7 Power will available for preorder starting March 15, 2019. It will ship on March 29th and will be available for purchase at Best Buy, B&H Photo, Amazon, and Motorola's official website. The Moto G7 Power comes with one storage option of 32 GB. It also supports microSD for expandable storage, up to 512 GB. The Moto G7 Power will retail for $249. Currently, we don't know the price of Moto Care Protection, as it isn't revealed until the phone is released. Thanks to its large battery capacity, the G7 Power is the thickest phone of the G7 family at 0.37 inches. With its 6.2-inch display, it is also one of the tallest and widest phone as well. The G7 Play is splash resistant, allowing it to survive light rain or a little bit of sweat. It is compatible with both T-Mobile and AT&T, and it will also be sold through various MVNOs and wireless carriers. The Moto G7 Power is running the latest version of the Android, 9.0 Pie. It is essentially stock Android with a few additional features such as Moto Display. And at its $199 price point, you won't find a cheaper phone running this version of Android. Motorola devices run a version of Android so close to stock that it's not really a skin — in fact, Motorola doesn't even give it a name. With the exception of Moto Display and few gestures and shortcuts, it's running Android in its purest form. The G7 Power has a 6.2-inch LTPS LCD display. It has a resolution of 1570 x 720, with an aspect ratio of 19.5:9, the only non-19:9 aspect ratio phone in the lineup. It shares the same large notch as the G7 Play, but has a slightly higher screen-to-body ratio. The G7 Power uses the same SoC as the rest of the lineup, the Qualcomm Snapdragon 632. While this isn't the best 600 series SoC, it is noticeably faster then G6 family's 400 series chipset and more power efficient. This is combined with 3 GB of RAM, which, while low, shouldn't be bogged down by the svelte software. Easily the best feature of the Moto G7 Power: this device comes with a whopping 5,000 mAh battery. 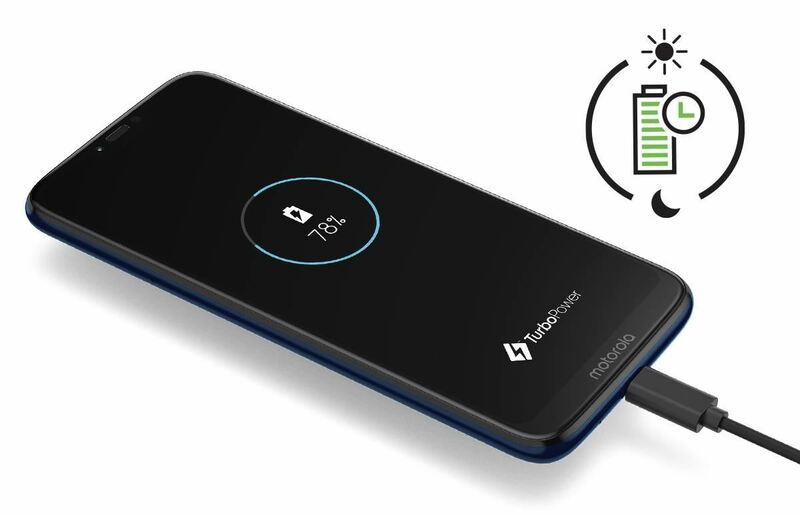 This is 2,000 mAh larger than the Moto G7 and G7 Play. With such a high capacity, users can expect not only all day battery, but multiple days. Motorola's claiming up to 3 days of usage, but we speculate a large portion of their testing was standby time. The front camera is 8 MP, just like the rest of the G7 lineup. 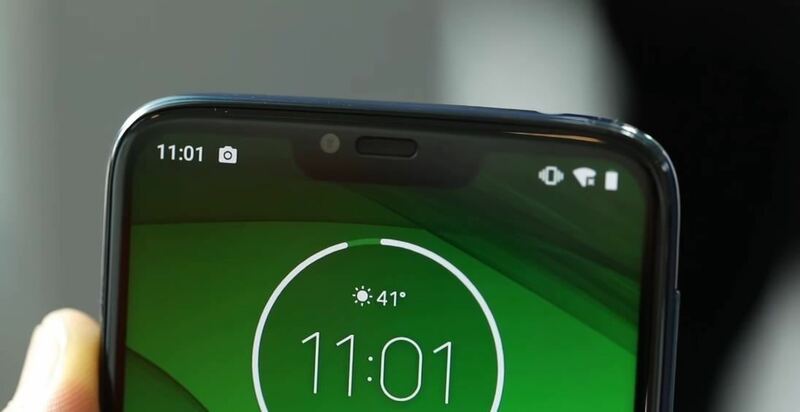 Despite its large display notch, there is no LED flash, instead relying on the screen flash. The Moto G7 Power will have a single 12 MP camera. It has an f/2.0 aperture. It is able to shoot RAW photos and includes Google Lens support. As for its video performance, the G7 Power is limited to only 30 fps video on all formats. It does support slow-motion video, but Lenovo hasn't published exact details like frame rate and resolution. The G7 Power is one of the few phones which still retains the headphone jack. It has a single speaker and includes support for FM radio. There are no glaring omissions or inclusions when it comes to sensors. Expect the usual assortment that you'd find in most smartphones. For location purposes, the G7 Power supports GPS and aGPS in the US. Note that if you travel to overseas, however, location services may have issues, as this model lacks BeiDou (China), QZSS (Japan), and Galileo (Europe) radios. The Moto G7 Power is sold SIM-unlocked and has all the key bands for both T-Mobile and AT&T. Surprisingly, there's even support for T-Mobile LTE Band 71, allowing G7 Play to enjoy better coverage even in rural areas. A rear fingerprint scanner is available for biometrics-based authentication. A less secure face unlock feature is also available, but it works using the front facing camera, so it can be fooled by a picture.